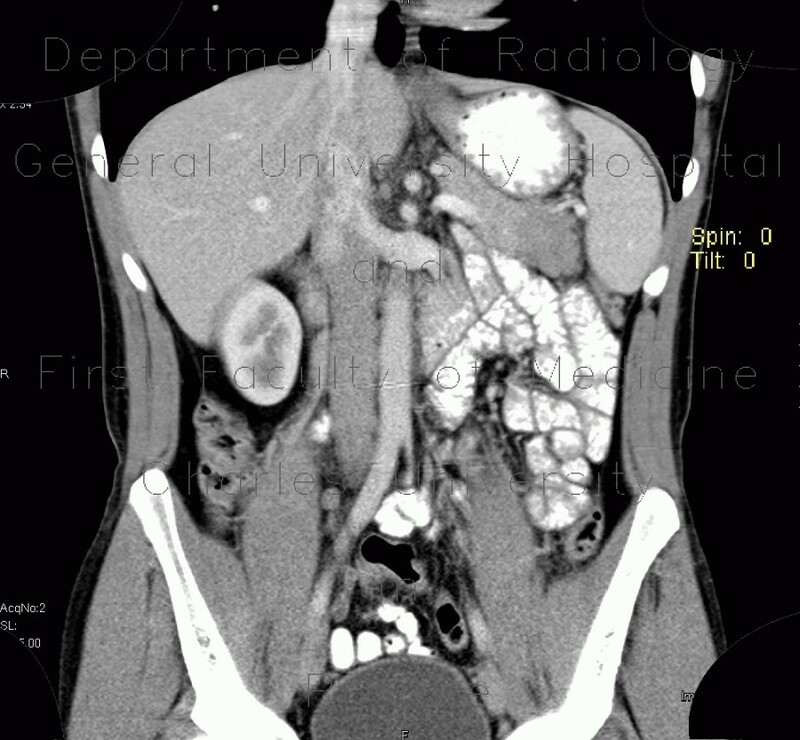 CT shows that the tail of pancreas is enlarged and has decreased density. There is no peripancreatic stranding. A differential diagnostis of tumor or postinflammatory changes was stated and MRI was requested. The tail of pancreas has homogeneously increased signal intensity on T2W and decreased on T1 images which indicates postinflammatory changes.